Privacy, Safety and Secury of Easynote - We care about your Safety! On Easynote we take your privacy and security very seriously. Read more below. We have a lot of companies who are using Easynote and we really care about our users and their privacy. Before we launched Easynote it was one of the first things we looked at to see how we can protect our users and their integrity. We started to investigate where we could store our servers and what country was protecting their customers. The choice fell for Germany. 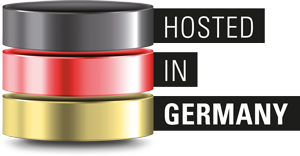 There is a good reason why we selected to store our servers in Germany. Germany has one of the stricted rules in the world when it comes to share data with someone else and it really cares about their citizenz and customers. There are strict rules how to handle personal data, how datacenters should store the data and what is required in order to get this data. We are not sharing and we will never share your personal data with any third parties. We have implemented some Google services on Easynote such as login with your Google Account, Google Calendar and Google Drive. The information Easynote stores is your Calendar id, Google id, access Tokens in order for you not to resync everytime you are using our service. Easynote can not use any of this data for further use and all data is encrypted. We NEVER share any of our data with anyone else. Once you unsync your Google Services or delete your account with Easynote all your data is deleted from our database including any Google services data. Your data are stored in Germany on our servers and it's not shared with anyone in any shape or form and it will never be. Equaly as privacy is important but security is even more important. We fully understand what you store on Easynote can be sensitive and not be shared on viewed by anyone else. Easynote requires highest possible security and this is constantly our nr1 priority. As you can see probably in your browser if you are using Google Chrome it's saying "Secure". This means the data you send from your browser to our server is encrypted and can not be read by any companies or governments. This is keeping you communication safe. Your data is encrypted on Easynote so not even our developers can access anything. When it comes to access to our servers there is only 2 technitians who can access our servers and the only way to login to the servers is remote from only 2 computers in the world. We have implemented this to keep any unauthorized people to even try to access to our servers. We hope now that you feel even more comfortable to use Easynote and we will soon offer the option to have Easynote locally installed in your company.